Are you here because you need an electrician in Northern Ohio? Click for an alphabetical list. Our Mission Statement: IEC Northern Ohio is dedicated to educating, promoting safe practices, and advancing the electrical industry. 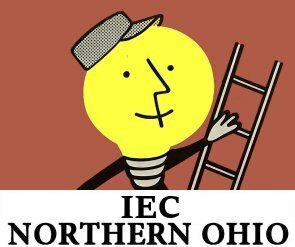 Northern Ohio Electrical Contractors Association, “IEC Northern Ohio“, is an association of independent electrical contractors in Northeastern Ohio who have been in existence since 1964. Those many years ago, several small, but elite and conscientious, electrical contractors recognized the need to have an organization which promoted the highest standards of character and ethics, and that would represent the interests of the independent electrical contractor. From those humble beginnings, IEC Northern Ohio was born. Twenty years ago, IEC Northern Ohio allied itself with a national organization: The Independent Electrical Contractors Association, Inc. IEC is the largest independent electrical contractor organization in the country whose primary focus is safety and Legislative issues related to the open merit shop. This alliance has allowed IEC Northern Ohio to better serve its members with educational opportunities, safety programs, and strong Legislative representation. • Put safety first. • Promote the merit shop philosophy. • Strive to the highest ethical behavior, integrity and professionalism. • A commitment to ongoing education for members and their workforce. • Use current and new technology to its maximum potential. • Embrace new concepts with creative thinking. • Constantly seeking opportunities to offer new products and services. • Strive to increase the profitability of our members.